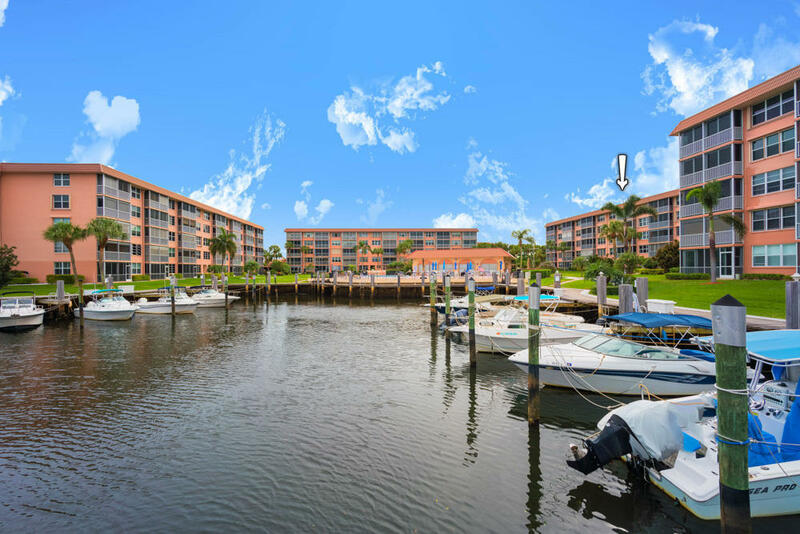 Extraordinary water and marina views surround this bright & airy, 2BR/2BA spacious wide-open condo in the Tropic Bay community of Delray Beach. This beautiful waterfront oasis has a desirable split-bedroom plan bathed in natural light and many desirable features such as volume ceilings, huge windows and floor-to-ceiling sliding glass doors, tiled flooring laid on the diagonal, en-suite baths in both bedrooms, plenty of storage space, and an expansive east-facing screened-in balcony overlooking the water, marina, and pool. Amenities include 3 saltwater pools, clubhouse, boathouse, gym, and sauna. Special interest clubs include Yacht Club, Golf Club, Social Club, and Book Club. Boat slips are available for up to 50ft at a very affordable annual rent.